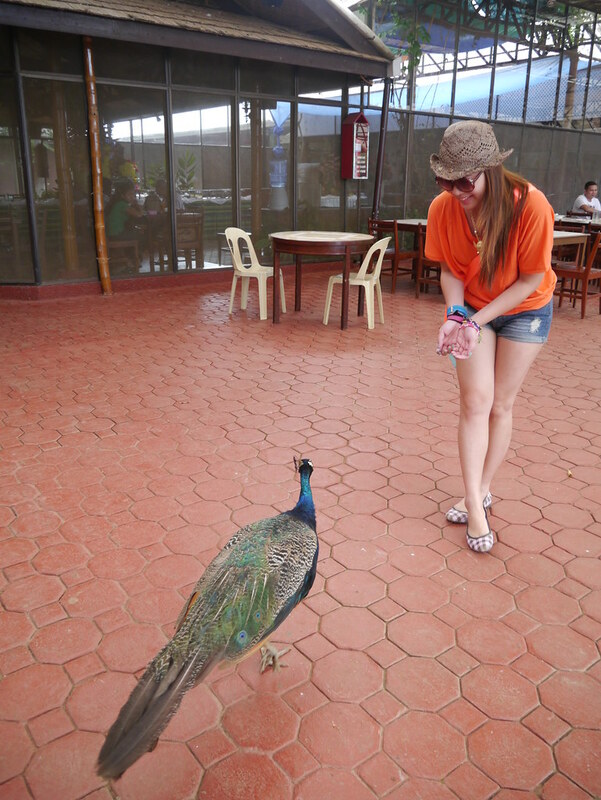 Davao (part 1): Eden Nature Park & Resort - The Day Tour. 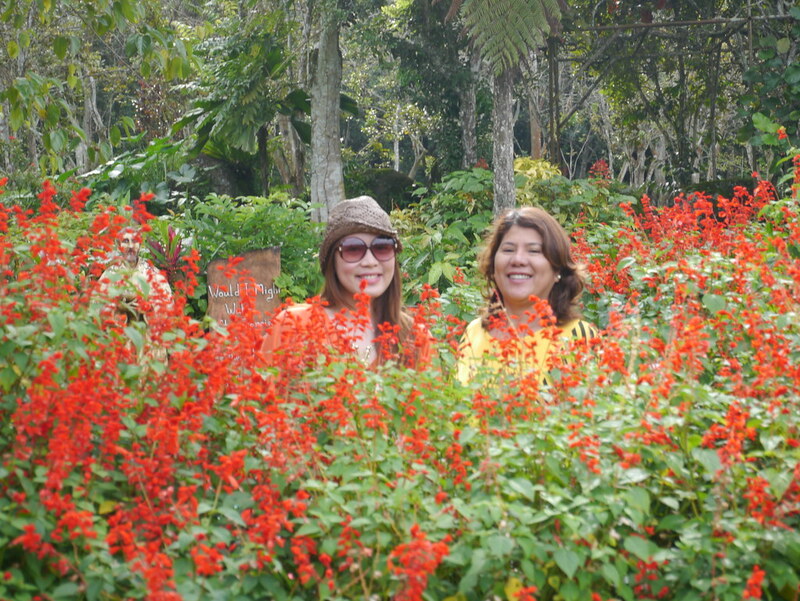 Two weeks after my Guimaras trip with T last year (read my blog posts on Guimaras), I went to Davao with my mom. 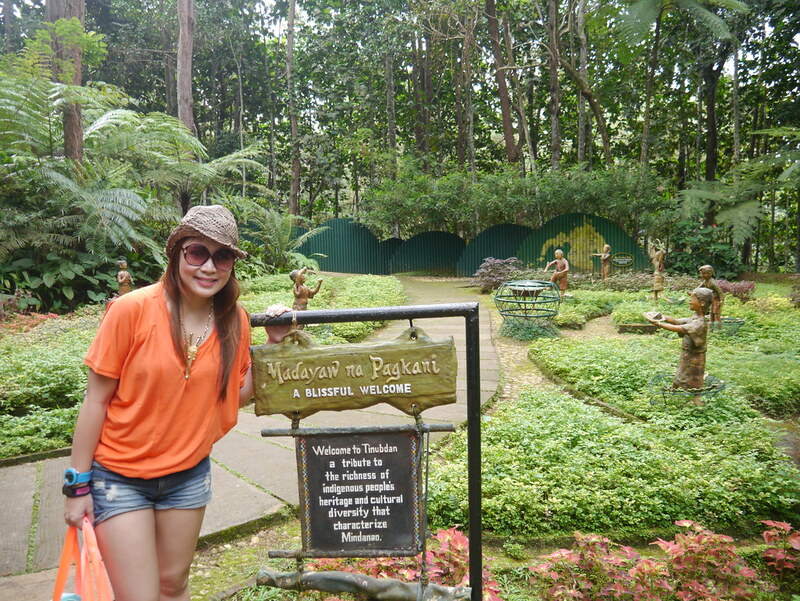 We only had a day to spend in the city so our hotel suggested that we go to Eden Nature Park and Resort. 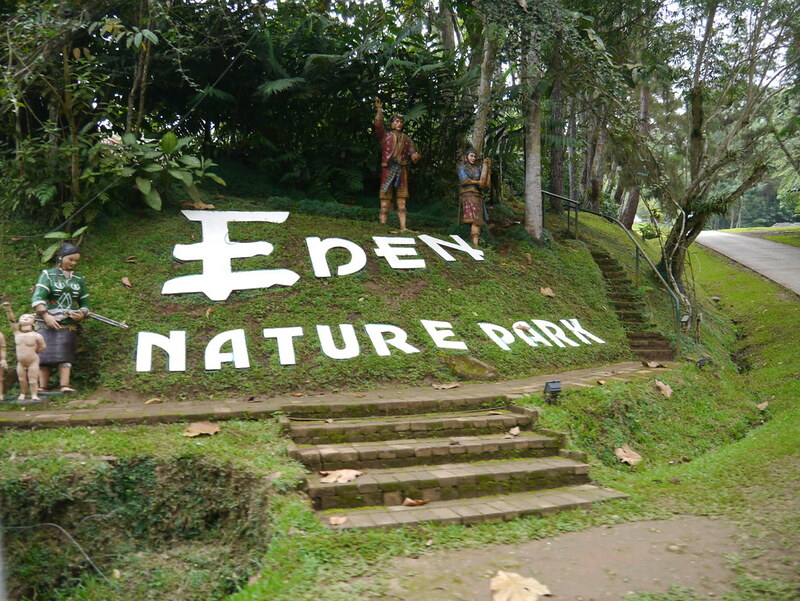 Eden is a mountain resort located at the foot of a dormant volcano called Mount Talomo, 3,000 feet above sea level. By taxi - You can rent a taxi for around P2,000/$50 to take you to different tourist spots around Davao, including Eden. 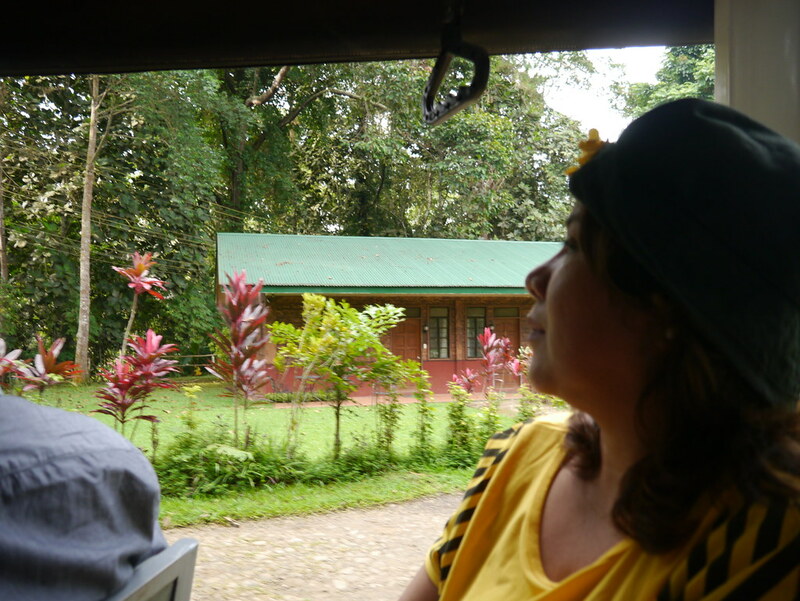 But if you just want to go to Eden, from the airport take a taxi to Toril. It'll cost you approximately P1,000/$25. The taxi will drop you off at Mercury Drug - Toril. 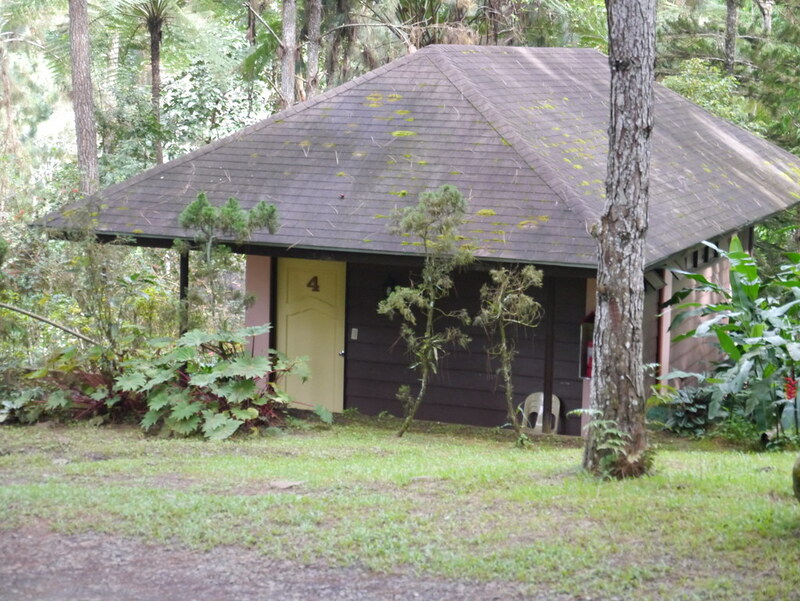 From there, take a tricycle to Eden Nature Park. This will cost you approximately P80/$2. 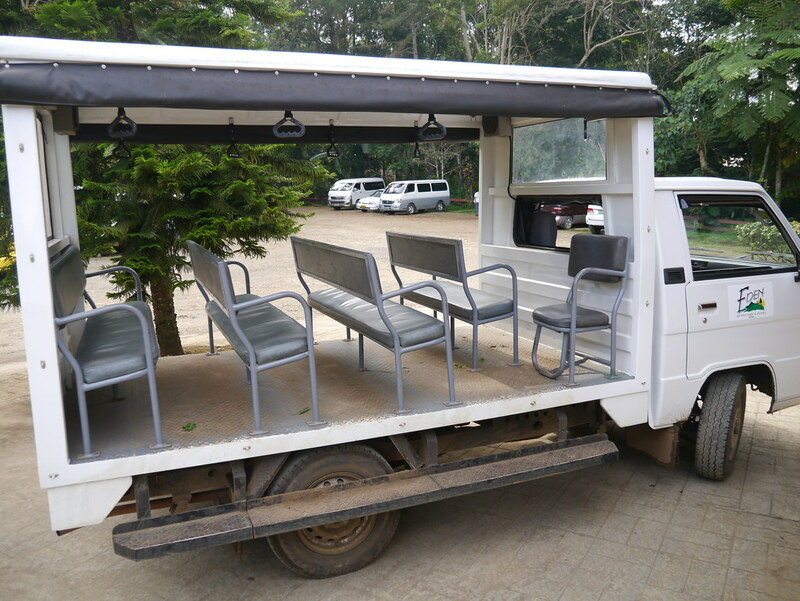 By jeepney - Just ride any jeepney bound for Toril. Same drop-off point as above, Mercury Drug - Toril. 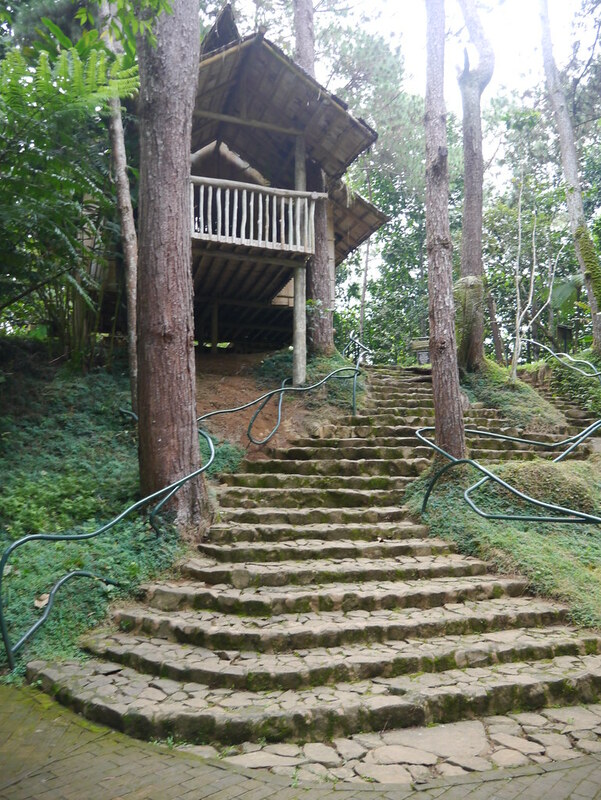 From there, take a tricycle to Eden Nature Park. Again, this will cost you about P80/$2. By private car - From Davao City, drive towards Toril proper. When you see a Mercury Drug branch, turn right. Twenty kms out you'll see a fork, turn left. 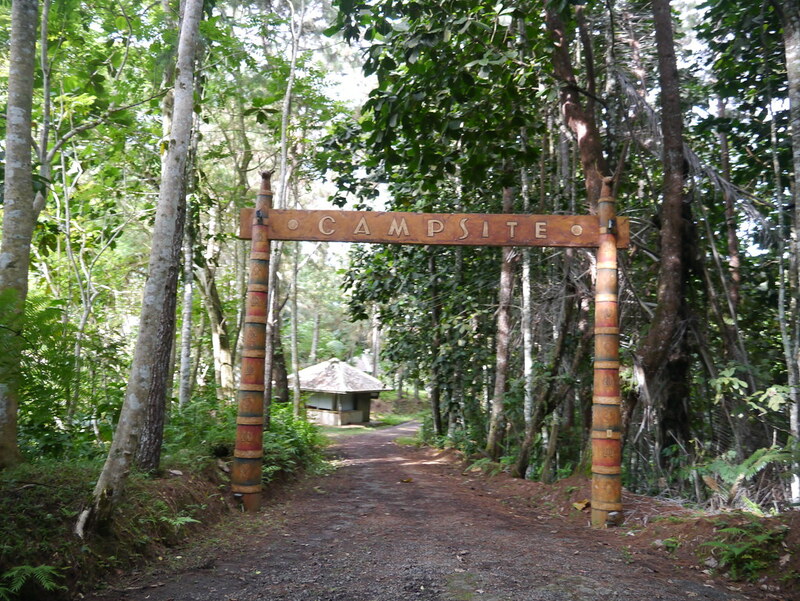 Go straight until you see the sign of Eden Nature Park. 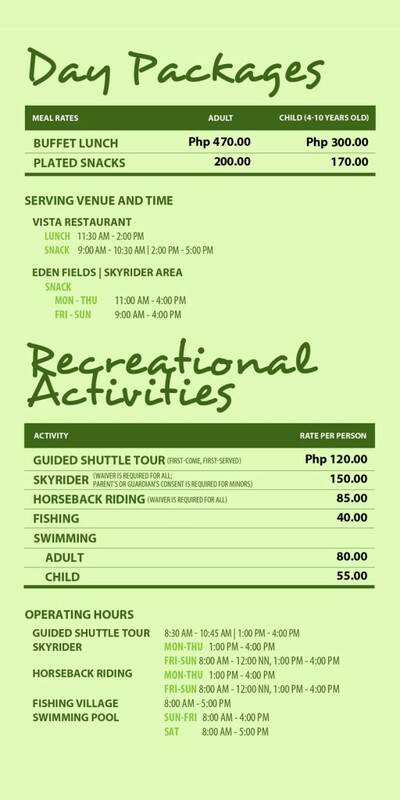 Here are the rates for the tour and other activities in Eden Nature Park and Resort, as well as the operating hours for the Skyrider, Horseback Riding, Fishing Village and the Swimming Pool. The Buffet Lunch and the Plated Snacks options come with a guided tour. 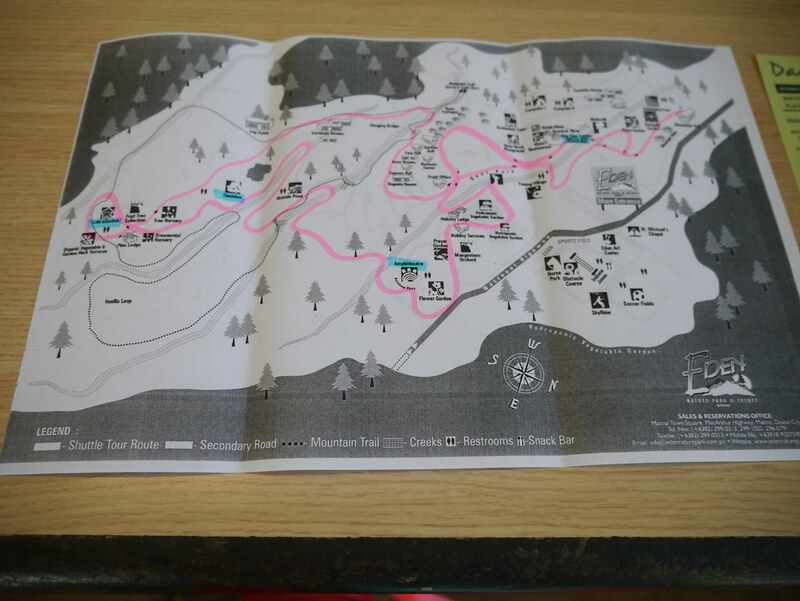 Tour rides have fixed time slots so better call before you go to make sure that you're right on schedule. My mom and I got there around 2 in the afternoon and had plenty of time to kill (before our 3pm tour) so we got the Plated Snacks (P200/$5) package. 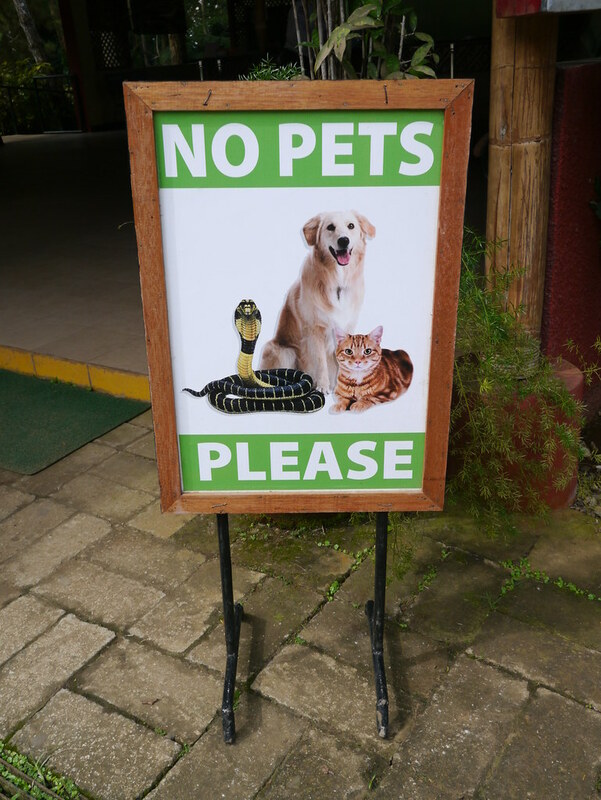 On the way to the restaurant, I saw this sign. Pets are not allowed in Eden Park but I saw a couple of stray cats..
...and a few peacocks! 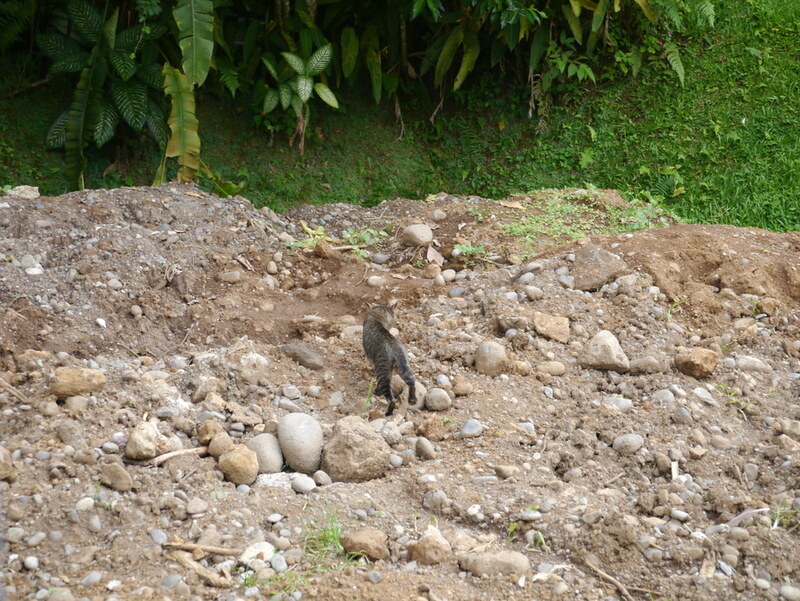 They were freely wandering about, asking for food. 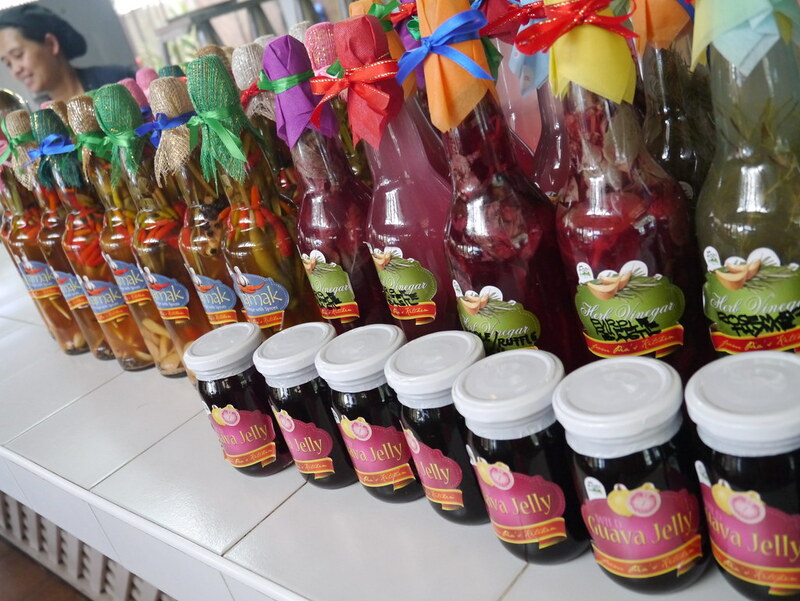 I went inside the restaurant and saw these colorful vinegar bottles for sale. 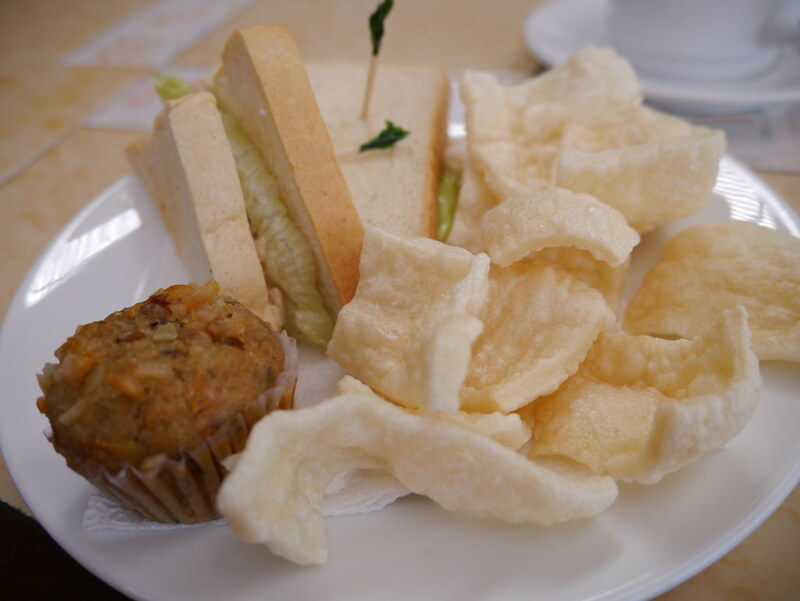 Our plated snack was composed of a sandwich, kropek (fish crackers) and a muffin. 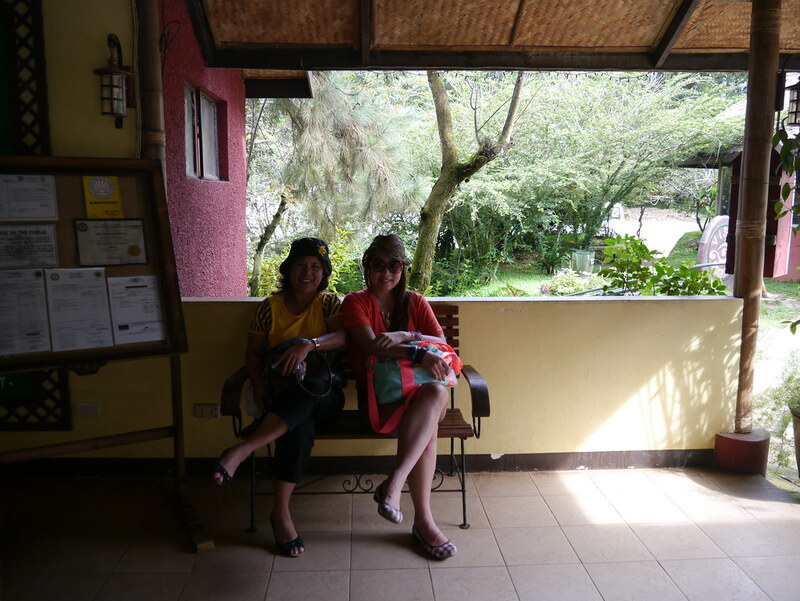 After eating, my mom and I went back to the lobby to wait for the shuttle. 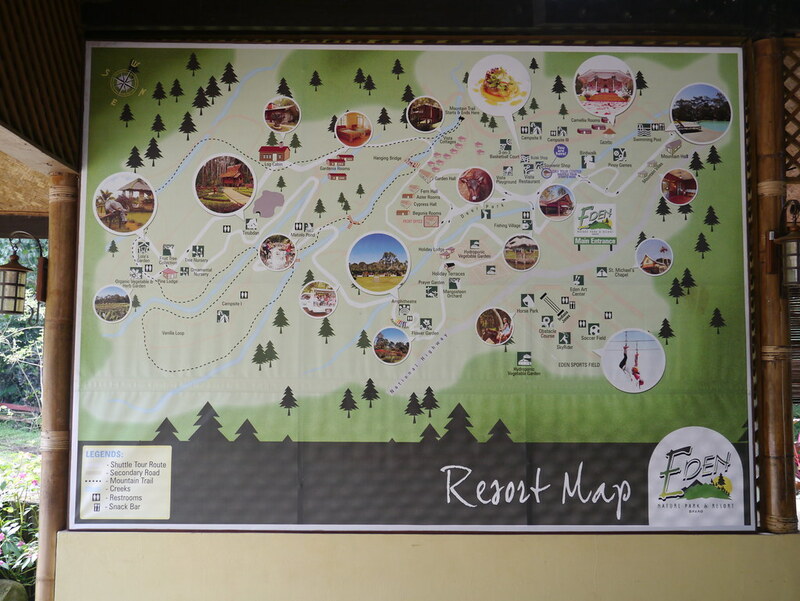 The front desk gave us a map. At first, I thought we could just walk around and take photos but see how big the park is? 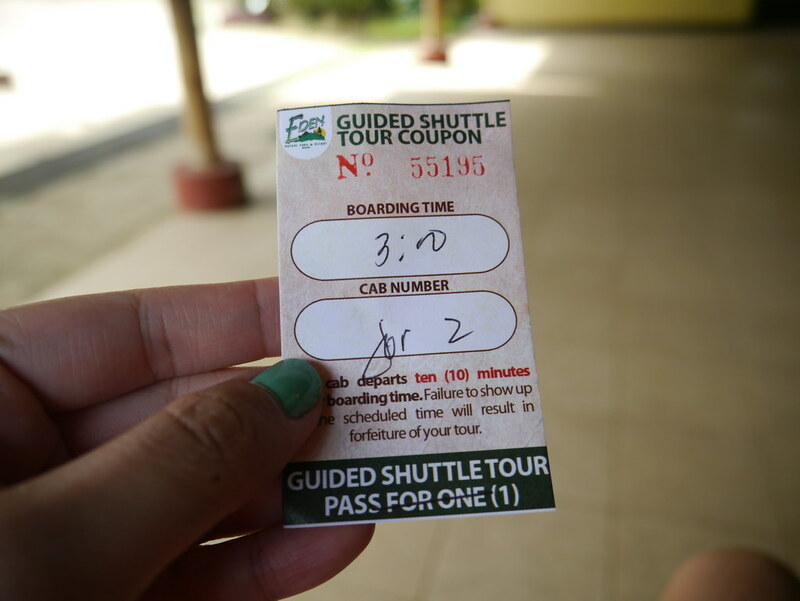 So it's really a must that you take the guided shuttle tour. It'll only take 45 minutes of your time. The shuttles arrived promptly at 3pm. The staff of Eden called us one by one so it was orderly. No people scrambling to get the "best seats". Coming from the hustle and bustle of urban life, it felt good to feel the crisp mountain air on my cheek. 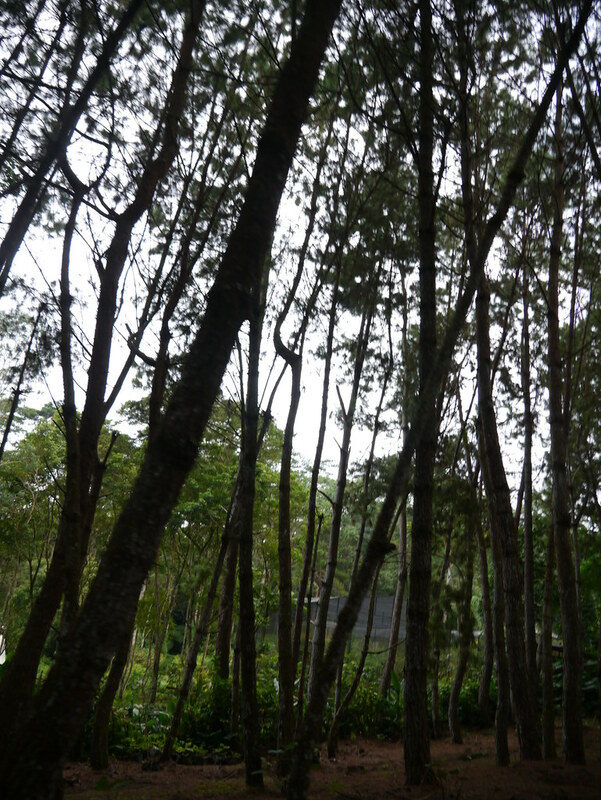 Eighty hectares covered by 200,000 pine trees, who would have guessed that the forest is 95% man-made? Our tour guide first showed us Accommodations for rent in Eden. 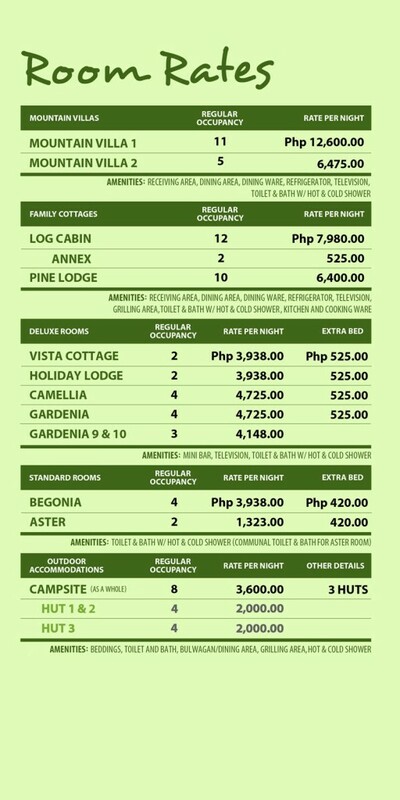 Here are the rates for their villas and cabins. 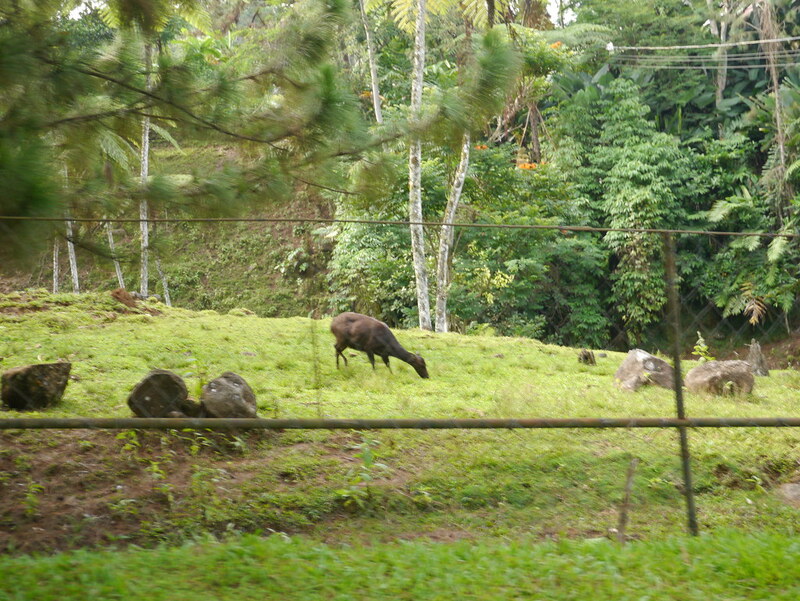 On the way to our next stop, we saw deers running along and grazing on the grass. 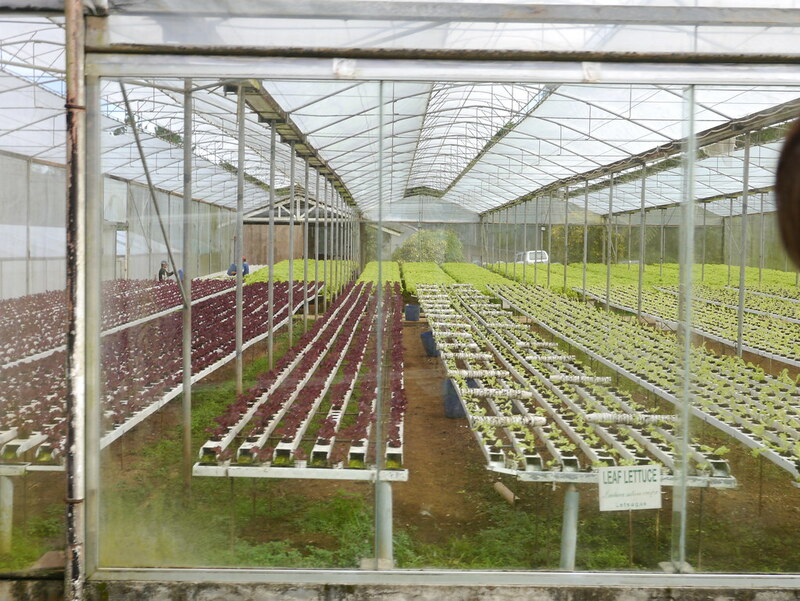 We also passed a couple of greenhouses. Our first stop was at the Flower Garden. I’m about 5 foot 6 inches tall (and my mom's almost the same) but we had to tiptoe just so our faces could be seen in this photo. Plants towered over me. 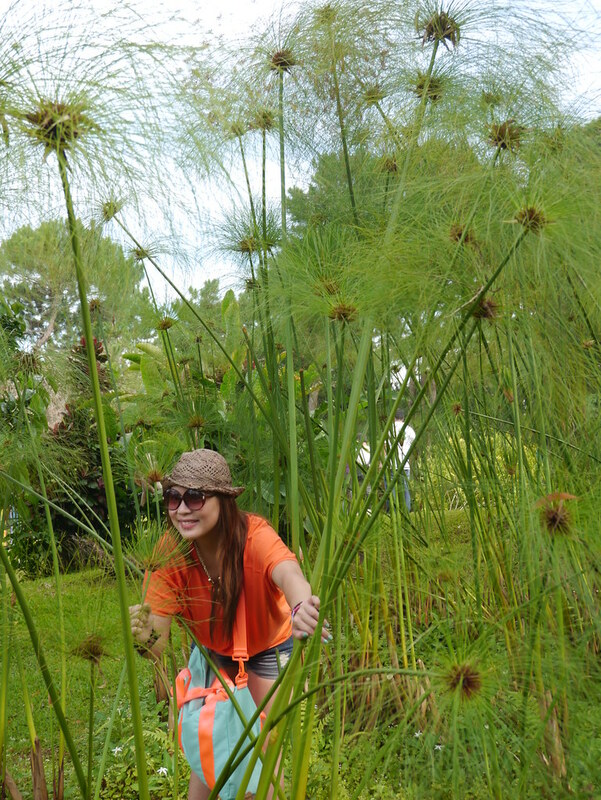 I felt like I was in a scene out of Dr. Seuss’ book, “The Lorax”. Then we went to Lola's (Grandma's) Garden. Our guide showed us the different plants and herbs that are found in this garden. She even passed around samples of it, like mint and eucalyptus, so we could see and smell them. 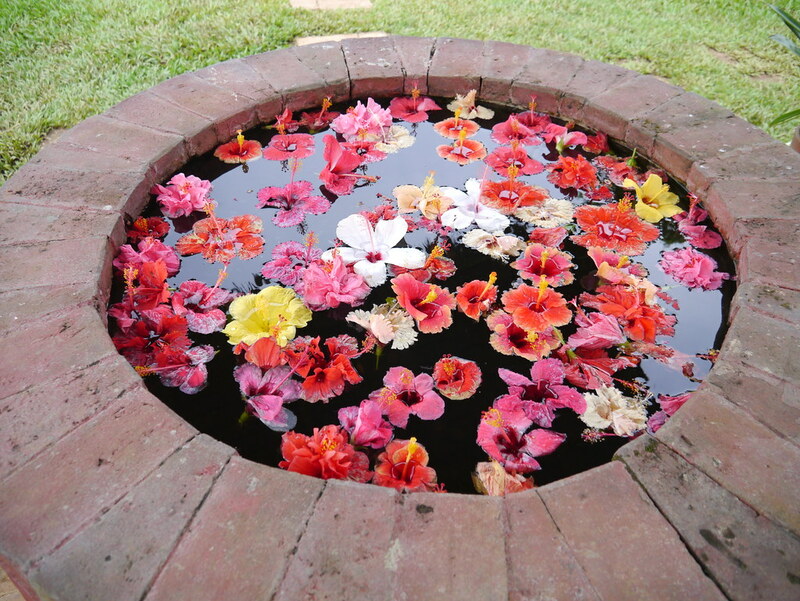 I saw a wishing well full of gumamela (hibiscus) in the garden. I fished a coin from my pocket, threw it in and made a wish. 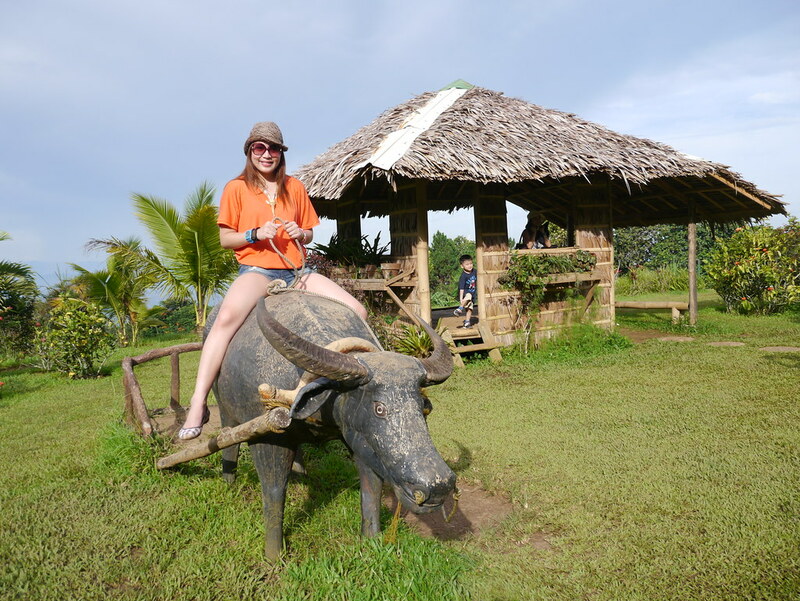 I also got to ride a carabao. No, I'm just kidding. It isn't real. But it looks real enough for a photo op. 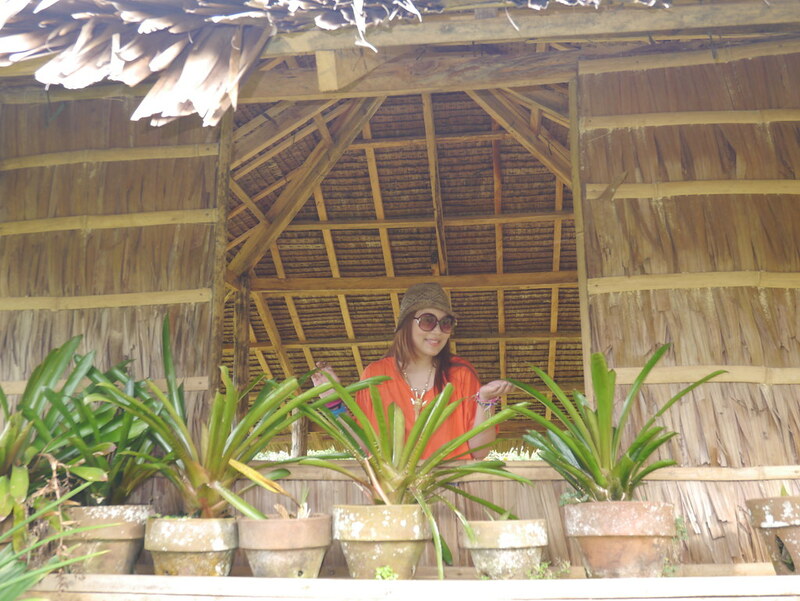 Next up was Tinubdan, the "wellspring of Mindanao culture". The area is around 5,000 square meters, so large it can actually stand on its own as a park. "Derived from the root word “tubod”, meaning spring or origin of water, Tinubdan is the tubod of wisdom– a dynamic tour desinged to give viewers glimpses of the customs, traditions, beliefs and the way of life of the indigenous peoples of Mindanao." 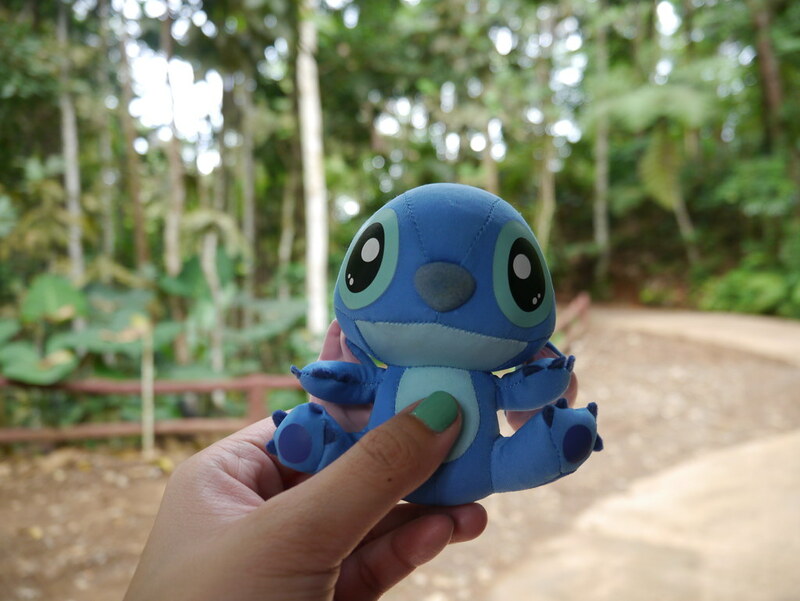 Since it would take a lot of time to explore the whole place, we just picked a few spots and took photos. 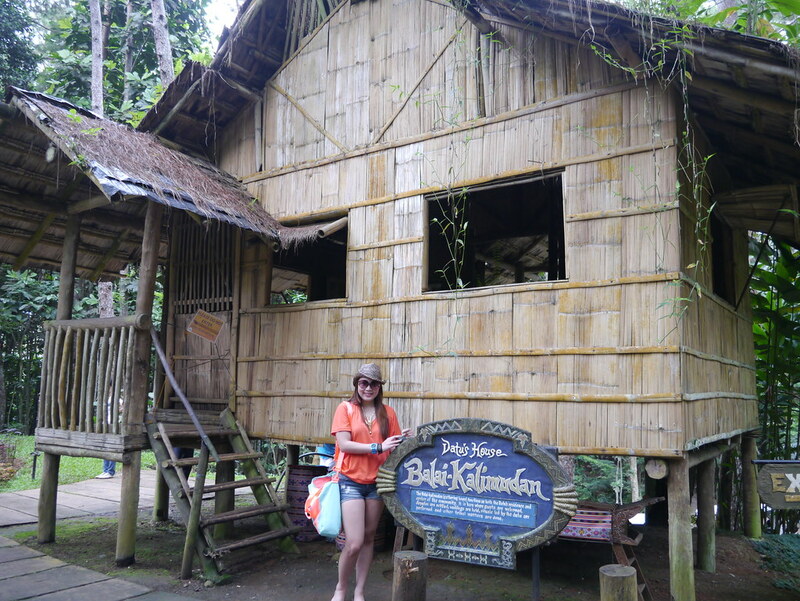 This is a Datu's house. A Datu is a title for chiefs or princes and can only be used by native royalty. On the way to our final stop, we passed by the Campsite. Finally, we were at the Ampitheather, which is basically a venue for weddings and other events. There's a large rainbow on one end of it. 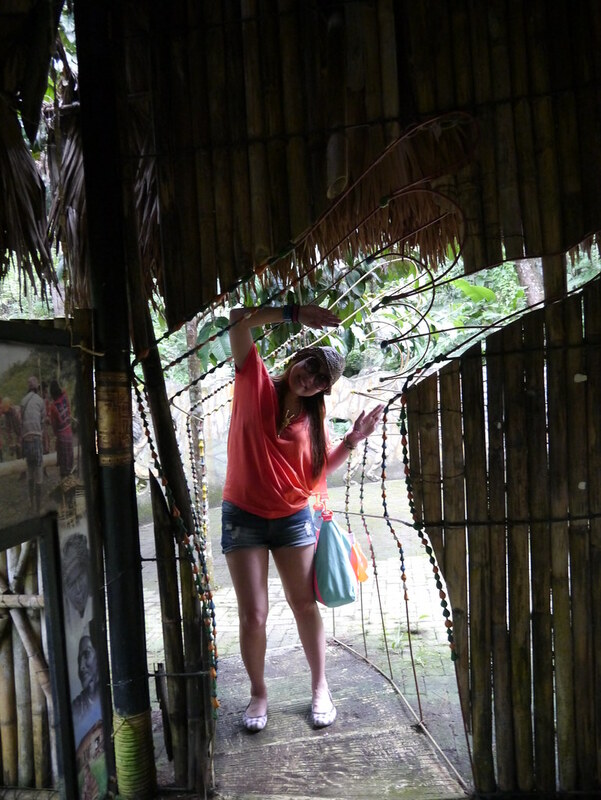 And here I am goofing around trying to create an optical illusion of me carrying that huge arc. I wasn't able to go to Eden last time we went there. :( Medyo bitin ang stay namin kasi. Eden never fails to entertain guests! did you try their organic veggies and local cheese? Looks like fun! 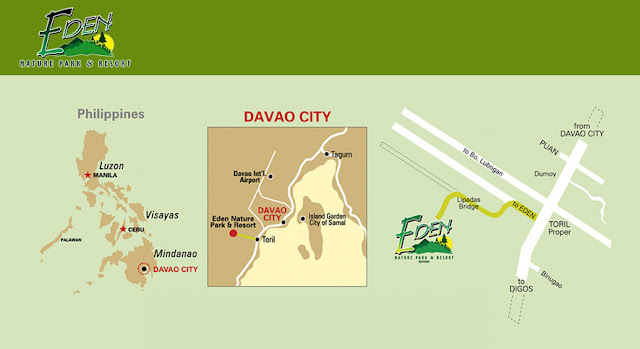 I've been to Davao many times, but never added Eden to my itinerary. I'm so not outdoorsy. 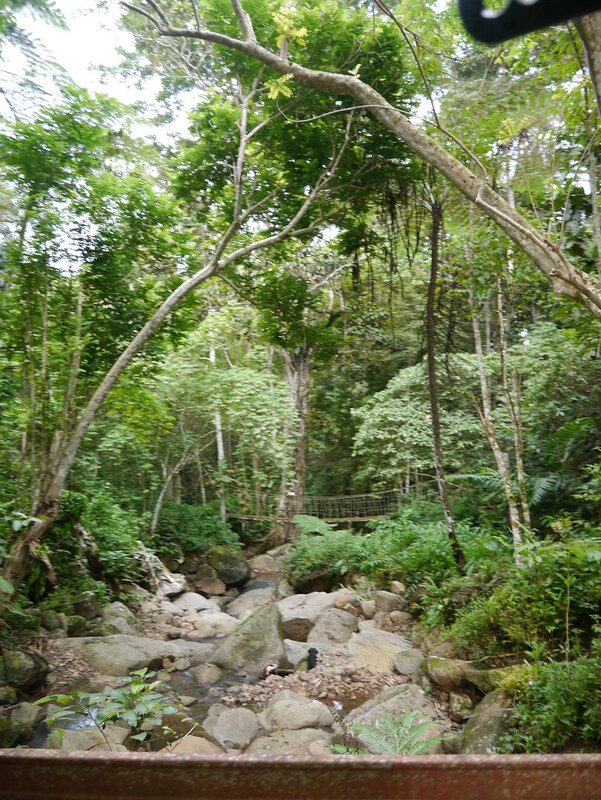 But now, seeing your photos, it doesn't seem as jungle-ish as I imagined it to be. Lol! 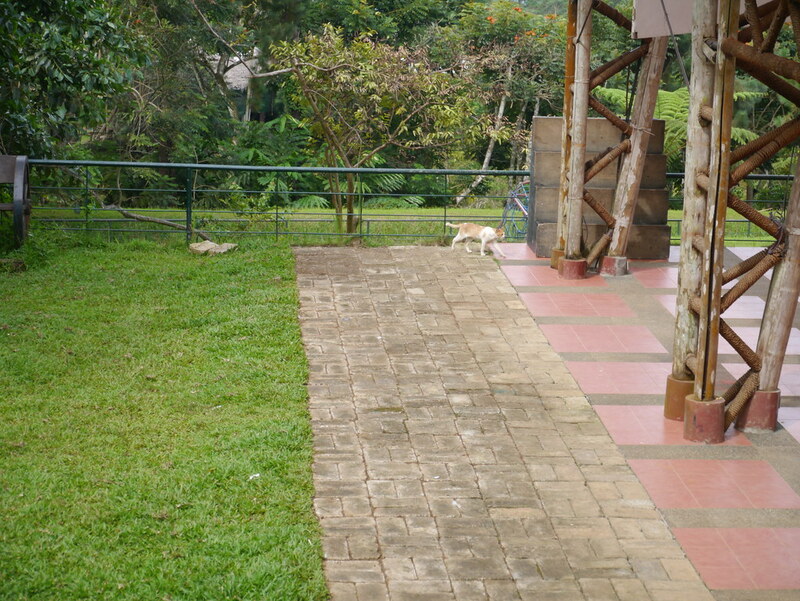 We were there too when we visited Davao in 2008. 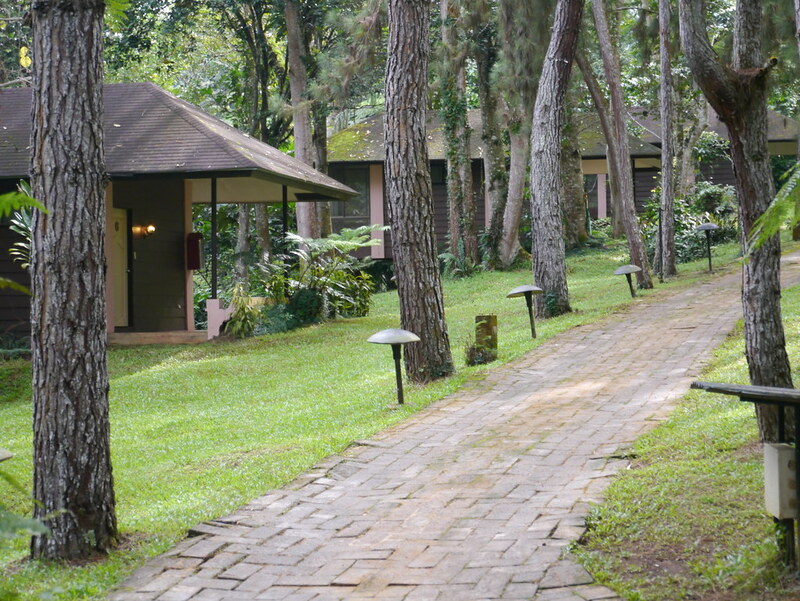 It's a nice place and very peaceful. 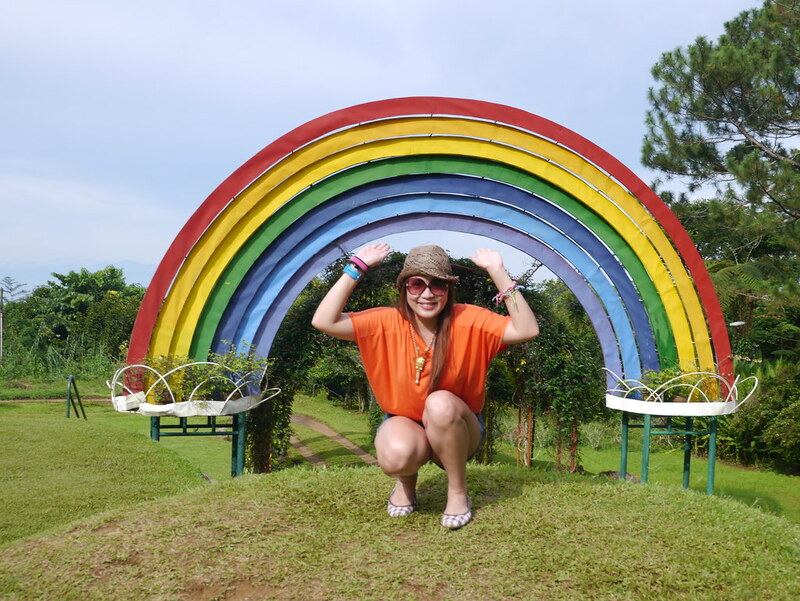 Davao (part 4): Jack's Ridge. Jozu Kin: The Japanese Gold. Forever 21 Now Open at the SM Aura Premier. Chili's Drink All You Can Margarita. Ramen Yushoken in Molito Alabang. How to Make a Travel Scrapbook... Fast. Grace Park by Margarita Fores at One Rockwell. Make Your Own Havaianas 2013 Launch Night.